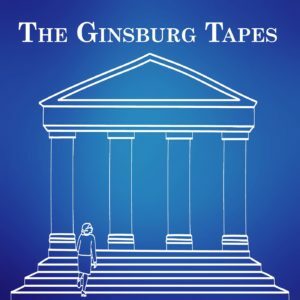 The Ginsburg Tapes is a podcast about Ruth Bader Ginsburg’s oral arguments in the Supreme Court—before she became #NotoriousRBG. Specifically, from 1972-1978, Ginsburg argued six cases in the Supreme Court. In each case, she and the ACLU Women’s Rights Project brought constitutional challenges to laws treating men and women differently. Ginsburg’s goal was to show the ways in which laws which seemed on their face to benefit women actually perpetuated stereotypes and held both sexes back from full participation in American life. For all six cases, Lauren breaks down the real recordings of the oral arguments. The tapes allow listeners to be a fly on the wall, to teleport to that moment in history. Listeners can hear Ginsburg make her case, and listen to reactions from the all-male Supreme Court. You’ll hear from liberal icons like Justice Thurgood Marshall and Justice William Brennan, and conservative icons like Chief Justice Warren Burger and then-Justice William Rehnquist, as they grapple out loud with what the Constitution means. In each episode, Lauren talks about history, effective advocacy, constitutional change, the power of the Supreme Court, and gender equality. 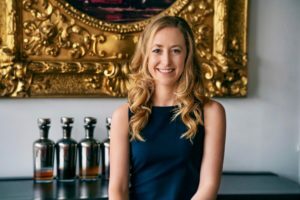 Lauren Moxley is a lawyer in Washington D.C., where she practices appellate litigation and privacy law—and is a runner, amateur boxer, lover of narrative history, and listener of (too many) podcasts. She graduated from Harvard Law School in 2015, and Duke University in 2012. You can follow her on Twitter @laurenmoxley.